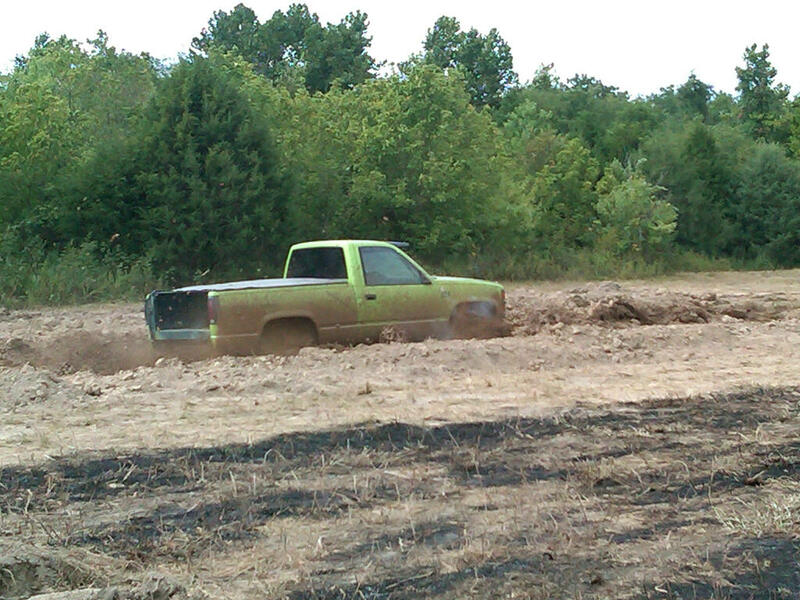 BBQ, Mud, and Guns make for a lotta Fun! Welcome to our first Pulaski County USA Blog! 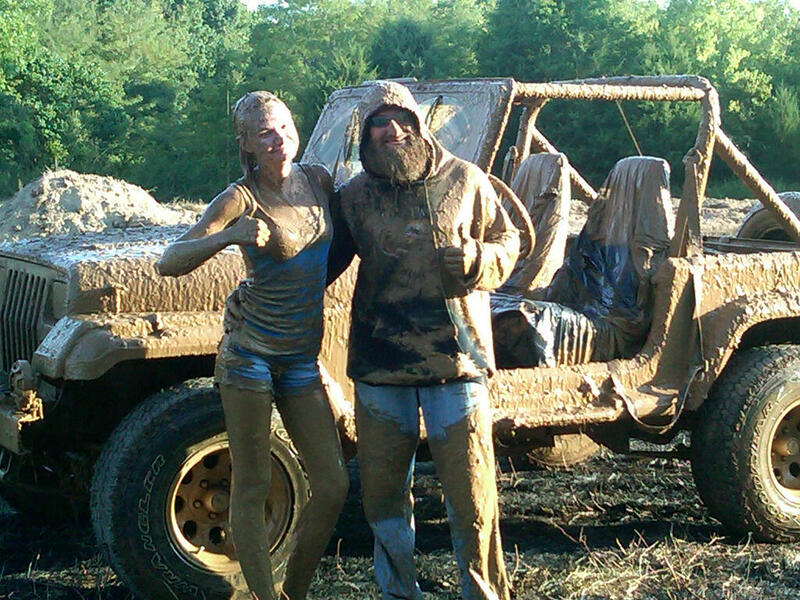 This blog’s purpose is to showcase all of the fun things to do in America’s Heartland, home of Fort Leonard Wood, aka “Fort Lost in the Woods.” In our attempt to change this image, sit back and enjoy the ride as we prove why we are not “Lost in the Woods” anymore! Our plan is to post a new blog every Monday, but while we are still learning how to do this blog thing, we are a little late this week…about 4 days late! Whoops! Due to the Labor Day Holiday Weekend coming up, our next blog will be late as well, but please join us on Tuesday for more Pulaski County Adventures! 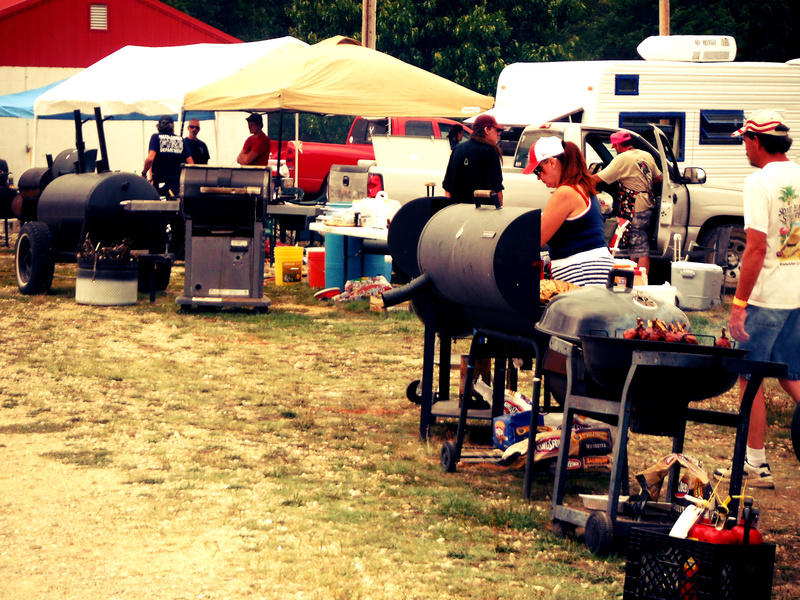 Saturday the Pulaski County Shrine Club hosted a BBQ Cook-off to raise funds for the Shrine Kids! This event, however, was no ordinary cook-off… The BBQ Cook-off contestants started cooking on Friday in an attempt to make the best possible meat to win-over their judges. This attempt led to great meat, but also a great party! Nearly 150 people, including the contestants, showed up for this pre-event party which led to some pretty tasty BBQ the next day. Once Saturday approached, the smell of BBQ filled the air. With four different categories (Pork Ribs, Pork, Beef Brisket, Chicken) and 10lbs of meat per category, approximately 720lbs of meat was cooked and then sold at $8 a plate to raise money. Needless to say this was a very successful fundraiser for the Shrine Club! Team Critterville Cookers won the best overall BBQ, but there was no bad meat that day. Even local fire and police departments joined in the art of the BBQ. The great thing about this event is that while it is a great time for people to enjoy cooking and eating BBQ, it is also a great event for the kids! 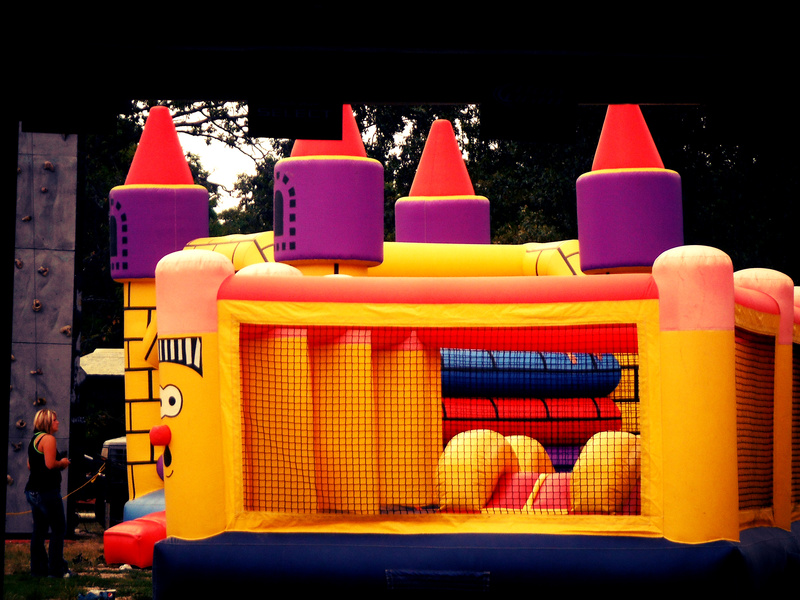 This year they had a bouncy house, obstacle course, climbing wall, several games, and kids karaoke that came at no cost to the children or parents. The entire day was filled with “good hometown fun!” Don’t miss it next year! The Kiwanis Club of Pulaski County has a Gun, Knife, and Archery Show every year in order to raise money for scholarships. This year was no different! The 3rd Annual Gun Show was held Saturday and Sunday at the Saint Robert Community Center. Vendors came from all over to Buy, Sell, and Trade! While there were vendors set up at the show, anyone could sell; and they got quite creative! There was a man who rolled his cart around the show all weekend, just to bring attention to his products. There was another guy who taped a large For Sale flag on the barrels of his guns, making them very noticeable. 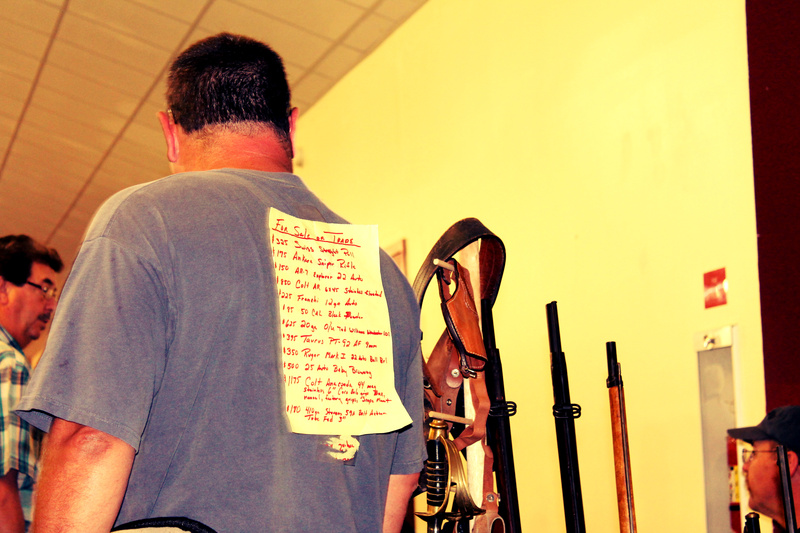 One of the most creative was a man who taped a list of what he had to sell on his back and proceeded to walk around the show. It proved to be a very successful show for the Kiwanis Club with approximately 1700 people coming in and out of the doors the whole weekend. Save the date next year and don’t miss your chance to Buy, Sell, and Trade! pee wee bulls, junior bulls, senior bulls followed by open bull riding at the end of the event. 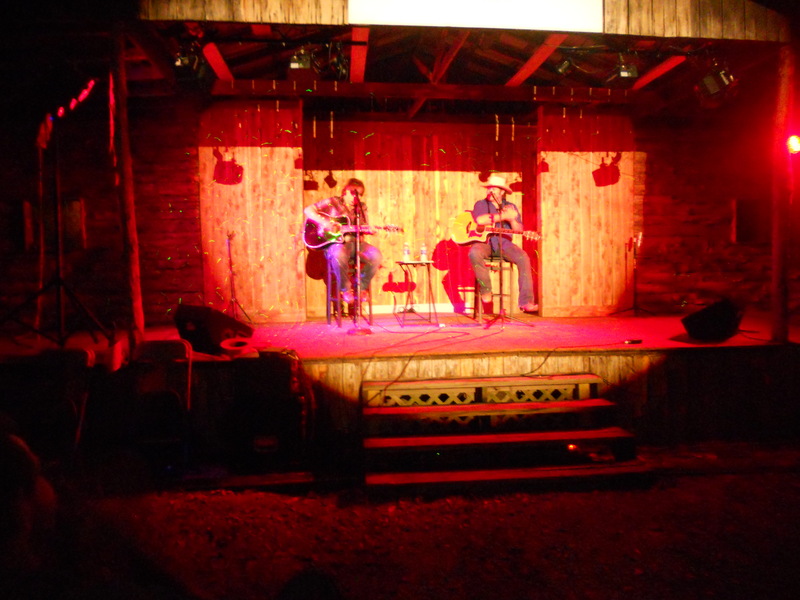 The competition was held in conjuction with a Catfish Dinner making the event so successful that the CYBR will be coming back to town next year! Like I mentioned earlier, this was a big weekend for events, so if you didn’t get to enjoy them, make sure you tune in next year because they are bound to be bigger and better! As for next weekend, we quickly have Labor Day Weekend approaching and there is a little something for everyone! If you feel like getting down with your country side, be sure to come out to The Barn in Dixon for a great show by Restless Heart! Maybe you are ready to party and get a little crazy this weekend? Then the Shrine Club is where you want to be! 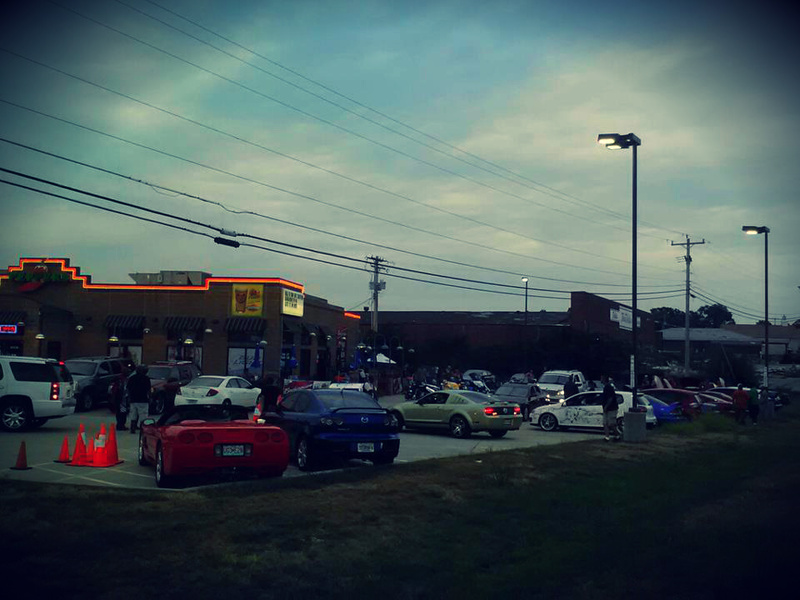 The Freedom of the Road Riders are having their 2012 Homecoming complete with vendors, great food, and a lot of music! Looking for something fun to do with the family? We have the perfect event! Crocker is hosting Railroad Days this weekend in honor of the railroad that first fueled the town! There will be live music, a parade, and no hometown festival is complete without a street dance! And if the Hurricane weather has you down this weekend, don’t worry, all of the events are Rain or Shine so get out of the house and do something fun!! If there are any questions on events, please see our website at www.PulaskiCountyUSA.com or give us a call at 877-858-TOUR!